This was an outfit I threw together for a family meal when I was back home. I’ve found recently that I’m getting older I’m getting more interested with playing with length in my outfits. A few years ago a short skirt was my statement go-to when dressing up, but I’m really loving embracing the longer lengths now! Layering the drapey cardigan over the ‘tattered’-looking skirt was an inspiration that came from the wonderful Alice. 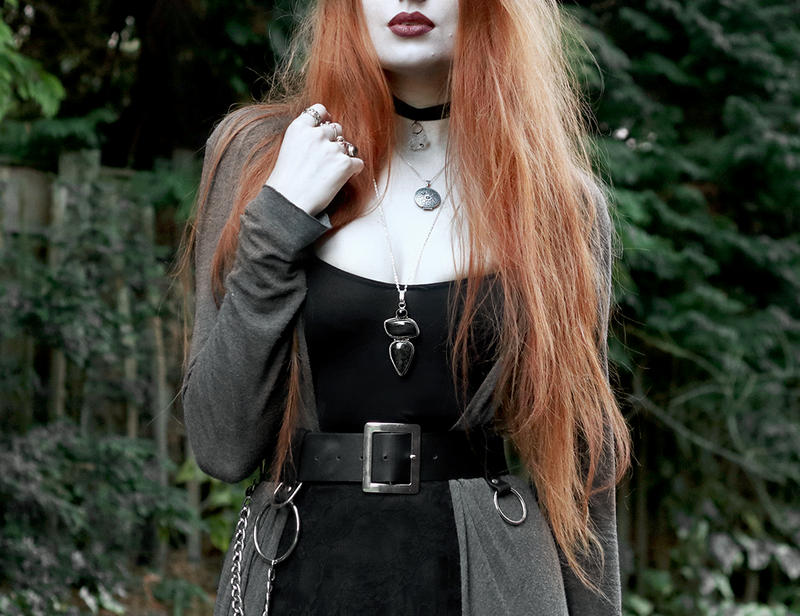 She’s my go-to inspiration for all things draped, layered & witchy! Also these shots were my first time using my new camera – the colour profile needed some adjusting which I didn’t realise until afterwards so the colours ay seem a bit off here… But normal picture colour shall resume shortly! Previous Post Distressed Jumper & A Bow Tie. Next Post Raiding My Parents’ Wardrobe for 90’s Goodness! This lace dress is so dreamy, and I seriously love the lip color you’re wearing! I’m gonna have to try Kat von D lip colors. Lovely post! I’ve found myself buying more and more loose cropped trousers now and less short skirts! I wore high-waisted a-line skirts all the time for years and years but I actually ended up selling all of them to fund my travels, so I need to stock up on them again as they are still a must in my wardrobe!